LiveCode LessonsLiveCode LessonsHow to - LiveCode Marketplace Products Data Grid HelperHow Do I Change the Default Header Behavior of a DataGrid? This lesson describes, how to change the Default Header Behavior of a Datagrid, using the Data Grid Helper plugin. 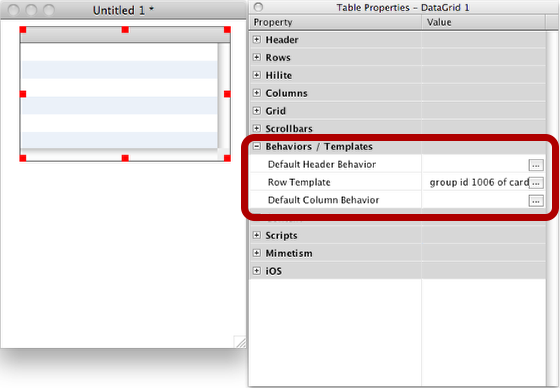 Once DGH opened by double-clicking on a DataGrid, go in the "Behaviors / Templates" topic. Add a new button in your project. This button will received the behavior script for the header. 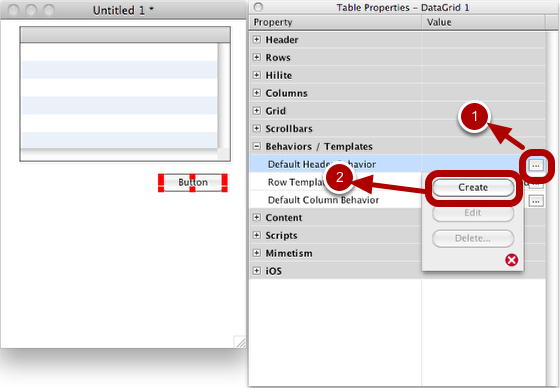 Click on the 3 dots button (1), for opening the DGH's Behavior Picker, then click on the "Create" button (2). Just click on the button, for selecting it. In the Behavior Picker window, the "Cancel" button changes for a "Confirm" label. For confirming the button as a default header behavior, click on the "Confirm" button in the DGH's Behavior Picker. 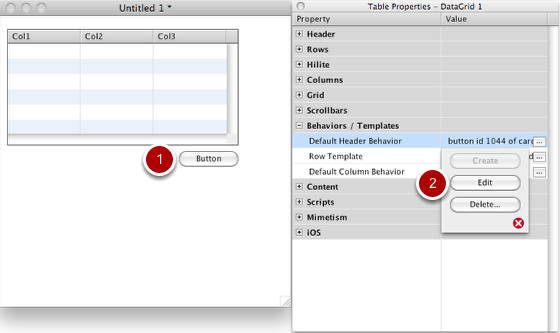 A reference to the button will be added in the Default Header Behavior property value. 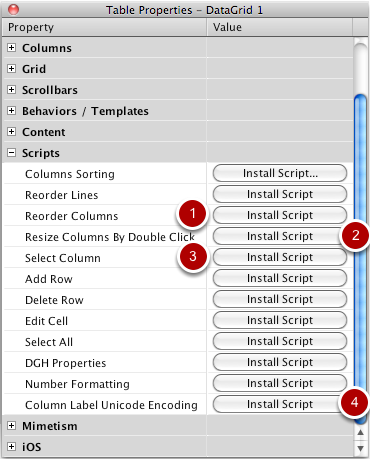 The default script installed by DGH is the default script for the Header Behavior included in the Datagird Library. 2. Resize columns by double click: double click on a column separator for resizing the column width, depending of the max length of it's content. 4. Column label unicode encoding: by installing this script, the column header labels becomes unicode chars capable. Prev: How Do I Create a Progress Bar in a Column? Next: How Do My DataGrid Can Support UTF-8 or Unicode By Using DGH?